The Green Light accelerator program is aimed at boosting NSW's developing bioeconomy. On Wednesday 27 February, the NSW Government stand at the Avalon Airshow welcomed the Governor of NSW, His Excellency General David Hurley AC DSC (Ret’d). The Governor’s visit enabled him to meet with NSW defence and aerospace industry companies and highlight their role in support of Australian Defence Force capabilities. 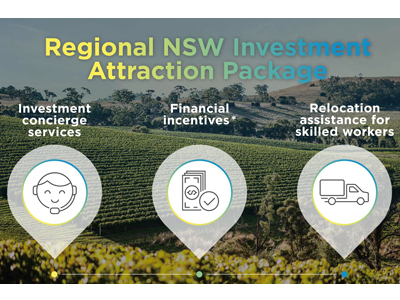 The NSW Government, through a Study NSW Partner Project grant, has supported a pilot program that matches international students in NSW with NSW-based exporters to complete market research projects for foreign markets with export potential.